Context: Picked this up at a charity shop in Stockton high street and read it as I walked to and from car showrooms buying a second hand car. This is a very quick read as it’s merely a short story of around 70 pages or so. It took a little while for me to get into it and figure out what was going on but once I did, I found a small story that grapples with big issues. The main issue in the whole book is a fascinating one and, having read it, I’d now love to have an opportunity to talk it over with Stevenson in person. The basic premise is that Jekyll experiments to see whether he can create a medicine which will separate his character into two: good and evil. He succeeds in changing his character into the evil personification of himself i.e. 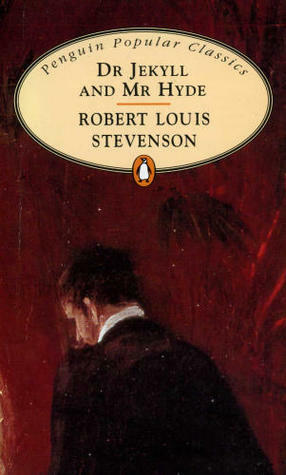 Mr Hyde and he is horrified at the unchecked extremes Hyde is willing to go to to satisfy his desires. But the successful resolution of himself into a perfectly good being, Jekyll cannot achieve. In other words, he can either be what we all are, flawed fallen humans battlefields of both good and evil. Or, he can be pure evil. This desire, to attain moral perfection, is as old as humanity itself. And the solution has eluded us ever since it became an issue. The apostle Paul wrestled with his own fallen nature and came to the conclusion that it was only Christ who could deliver us from ourselves. I’d be interested to know if this was Stevenson’s expereince too. I won’t spoil the story for those who haven’t read it. It’s a tragic one and also touches on the desire we have to do evil, no matter how “good” we are supposed to be according to some humanist philosophies. This is certainly a relevant issue today simply because we are as human today as we were when Stevenson first penned this. The book raises vital questions: is Jekyll guilty of the crimes that Hyde commits? If so, are we exempt from blame from our darker selves? Would it have been possible for Jekyll to separate his perfectly moral self instead of his perfectly corrupt self? Are we all made up of good and evil in equal measure?